Dr. Tye Caldwell is the Cofounder & CEO of ShearShare, the first on-demand salon and barbershop space rental app. 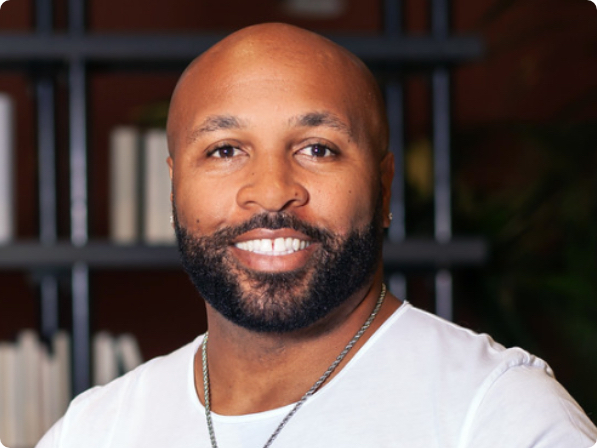 Recognized as a tech visionary and industry pioneer, Dr. Caldwell’s mission is to help beauty and barbering professionals around the world maximize their earnings potential. Prior to creating ShearShare, Tye owned and operated an award-winning salon in Dallas, Texas. He has worked in beauty for 25 years as a master barber-stylist, educator, and small business coach.Tye serves on the Advisory Boards for multiple beauty schools and is a frequent guest lecturer at barber colleges and hairstyling institutes around the globe. His #1 best-selling book, Mentored by Failure: A 5-Point Guide to Long-Term Success in the Beauty & Style Industry, is often used for continuing education curriculum. Tye's work has been featured in Fast Company, Black Enterprise, Modern Salon, and TechCrunch. Dr. Tye Caldwell received his Doctorate of Professional Barbering from Miracle University in 2016. He enjoys international travel, reading, and spending time with his wife, Courtney, and 17-year-old son, Trey.